The website contains hyperlinks to websites created & maintained by organizations other than the City of Covington. These links are provided for your reference and convenience only. The City of Covington does not control other websites and is not responsible for their content; nor does the City of Covington's inclusion of links to such websites imply any endorsement of the material, products, or services on the websites or any association with their operators. Once you link to another site, you are subject to the policies of that site. The privacy policies and procedures described here do not necessarily apply to those sites as they are not under our control. We suggest contacting these sites directly for information on their data collection and distribution policies. The pages on this site have been reviewed and revised to be accessible to individuals with disabilities. The City of Covington is continually striving to meet the needs of its citizens. The design and development of the City of Covington website ensures that websites created by the City of Covington serve the largest possible audience. 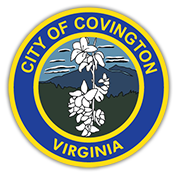 All images and text on the City of Covington website are copyrighted by the City of Covington and are protected by applicable laws. Republication or redistribution of this content, including by framing or by similar means, is expressly prohibited without the prior written consent of the City of Covington.